College… That magical place where you find out more about yourself, start exploring new horizons and learn to enjoy the little moments in life. Moments like your first and last game for varsity, your first and last garbage plate, and your first but not last steps into using science, knowledge, and passion to make this world ever better. Students come to college sometimes with the thought that you must know who you want to be, what you want to do, and how you want to do it. Nonetheless, the best part about college is not knowing all of this. College is about unleashing your mind to discover the endless opportunities to learn and discover. I believe college is this amazing stage that pushes you to discover your identity and everyone should make the most out of this freedom. 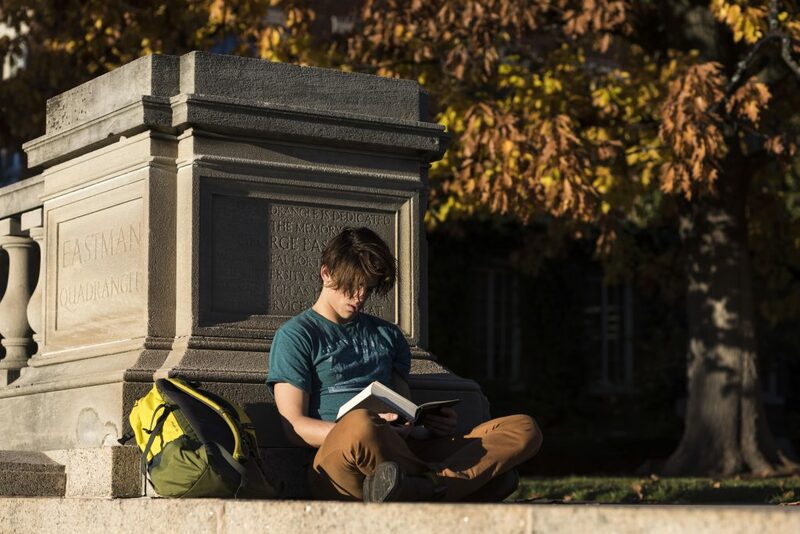 Students at the University of Rochester are all considered “multi-decided” until their third year on campus when they are called to declare their major. A major is your area of specialization in college such as public health, audio and music engineering, art history, and gender, sexuality, and women’s studies. The University of Rochester grants you the freedom of designing your own major, minor, and degree; the only required subject is a single writing course, which ensures that all students are on similar levels of written/verbal communication. First thoughts upon being admitted: I wanted to learn mechanical engineering, marketing and economics, German language, writing, the cognitive origins of languages. Arriving at college: I decided to be a major candidate in mechanical engineering, I took my writing requirement in the form of a class called “Language as a Window to the Mind,” the ultimate combination of writing, cognitive sciences, and languages. Spring semester of my first year came and I decided to enroll in an “Intro to Economics” course to explore this area of knowledge, and I learned that while it’s such an interesting field, it’s not for me! The first year of college was over, and at that point, I was thinking of trying new things. Maybe I should major in optical engineering? Maybe computer science? Why not study robotics? My second year started, and I decided to give mechanical engineering the benefit of the doubt or just give the last shot to convince me enough. And guess what? It managed to attract me enough. I decided to strengthen my base in mechanical engineering before pursuing any other interests in engineering, mainly robotics. My second year’s summer came, and I became a Xerox Research Fellow under the supervision of Dr. Jessica Shang, where I was empowered to discover numerous powerful engineering tools, learn materials beyond the classroom level, and be immersed in the research court. When my third and current year started, I decided to start pursuing a minor in electrical and computer engineering as a gateway for my robotics passion! Don’t worry, I didn’t forget about the German language! I enrolled in a German language and culture cluster, and now I’m having the best time of my life, learning a language that I love. The story will never end! Lastly, the university can always guide you to ensure you get the most out of your education. For example, the Gwen M. Greene Career and Internship Center is always available to offer academic guidance. The Meliora Collective is another great resource; it’s a platform where you can connect with alumni, students, and parents to seek advice, widen your network, and learn more about various career paths. Finally, remember to enjoy whatever you’re doing, however, you’re doing it!